Positive affirmations are a declaration of truth. A truth you want to remember, a truth to live by, a truth to inspire or a truth to motivate. Said with repetition, habits form, and habits change lives! Is there something that you know is true, but need to live more fully? To act out of love? To recognize the abundance that surrounds you? To care for the health of your body? To live a creative life? Affirm that! Say it over and over again. Act on it. Take responsibility for it. Become that truth! Not tomorrow, or next week, right now…today. Let’s keep in touch…Signup to receive your complimentary Positive Word Dictionary with 390+ definitions and example affirmations! 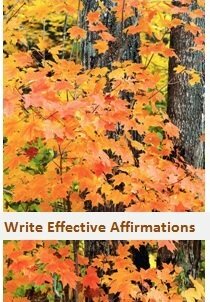 You’ll also get a set of colorful Affirmation Cards & the Creative Affirmations newsletter filled with exclusives! This site is the best stuff I’ve got for taking control and creating change. I have personally used all of the methods discussed, and I always provide you my honest opinion. How to set goals that get you excited enough to actually do something about them. Common pitfalls that keep you frustrated with positive thinking. The research behind why saying a few positive words can have a big impact on your life. The best ways to get your kids to think positively. The real story behind the law of attraction. Why “lying to yourself” with flowery statements will not create change. Easy ways to finally de-stress. What self-help books are worth your money. This is real life, and we are making the best of it. If you have found yourself jumping from one self-help book to the next hoping that this one will be “the fix,” this is the site for you. We are breaking the cycle and creating a new you. You do not need fixing. Refrigerators need fixing. You are already whole and complete. The journey is about simply remembering your greatness. You will not always “feel” like doing what is best for yourself. Do it anyway. Take the walk, sit on the meditation cushion, eat the salad, and remember what you are grateful for. You will be glad you did. I am willing to live what I know is true! Want to keep in touch? Follow me on Facebook, Twitter, and through the Blog. 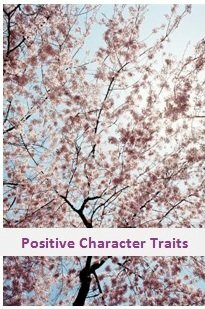 <meta name="blogcatalog" content="9BC9220232" /> The Positivity Blog keeps you up-to-date with all of the additions and changes to the Creative Affirmations website. Subscribe here. 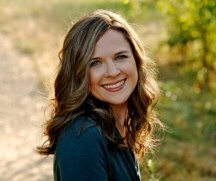 Learn about the author of Creative Affirmations & her diagnosis of VACTERL Association. Learn more about inspirational speaker Danea Horn and her highly acclaimed presentations. Browse this list of affirmations to find the perfect statement for changing your life. Everything you ever wanted to know about affirmations. 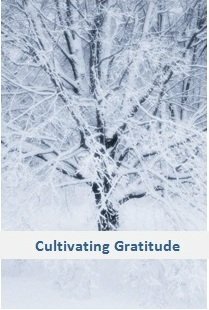 Free affirmations on a variety of topics. These affirmation pitfalls can prevent your intentions from coming to life. Learn how to avoid making these mistakes. Make your unique positive statement and change the world with this positive clothing and accessories. Affirmation videos are a great way to combine the power of visualization with affirmations. Peruse this list of self improvement articles to find just the message you need to read. 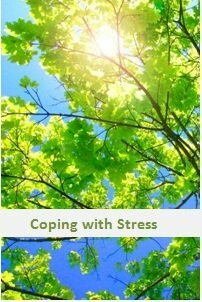 Browse through articles on stress devoted to helping you understand stress and get stress relief. Understanding your inherent mind power will strengthen your belief in affirmations and accelerate your results. Using creative visualization will impress your subconscious mind to adopt the beliefs and habits that will bring your dreams to life. The Law of Attraction is a powerful tool that can radically transform your life. Follow Danea's journey of holistic healing. Read inspirational stories of people facing challenges and redefining positive. Positive quotes will inspire you to change your beliefs which will change your life. Perusing this list of comprehensive positive words is a great place to begin when writing affirmations. There are hundreds of inspirational books. These reviews will help you narrow down the self help isle and point you toward exactly what you need to read. Vision boards are powerful tools that work with your natural learning ability to sink your dreams into your subconscious. Here are a few of my favorite positive websites. Subscribe to 'a positive statement' E-zine from creativeaffirmations.com. Search the Creative Affirmations website. The Creative Affirmations Site Disclaimer. Moving through the pain of a broken heart toward a brighter future. Marriage affirmations to cultivate lovely wedded bliss. Welcome to Creative Affirmations! I'm Danea Horn, author and speaker dedicated to exploring the most empowering ways to live. I personally know that a dose of positivity can go a long way!